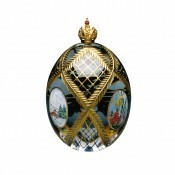 As its name suggests, the Four Seasons Egg portrays the individual character of the year's seasons. Spring, summer, autumn and winter represented in rich hand painted enamels, each in an elegant oval panel. Spectacular in 24% hand cut lead crystal and adorned with hand painted 23 carat gold. 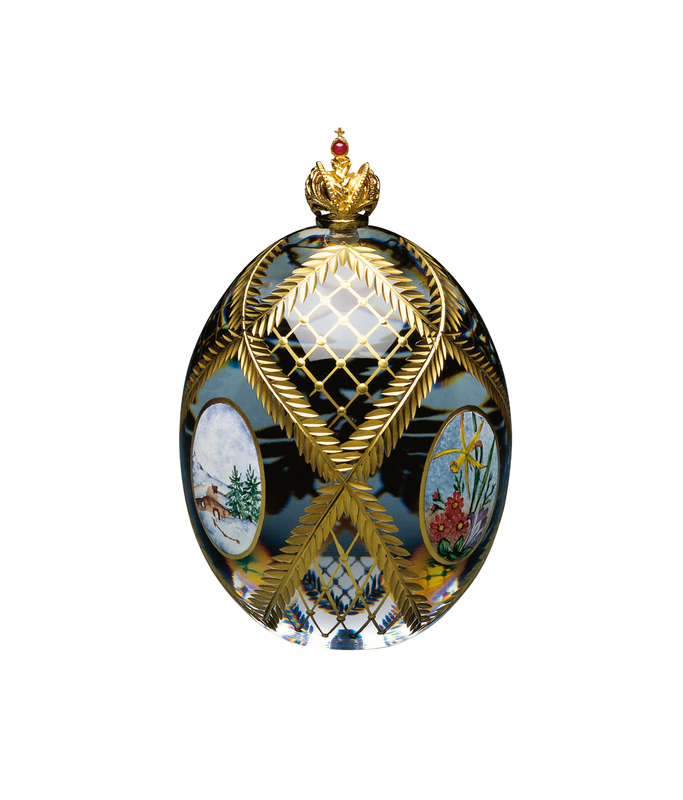 The Imperial Crown, in vermeil, is set with a fine cabochon ruby. Materials: Crystal, 23 carat gold and cabochon ruby.